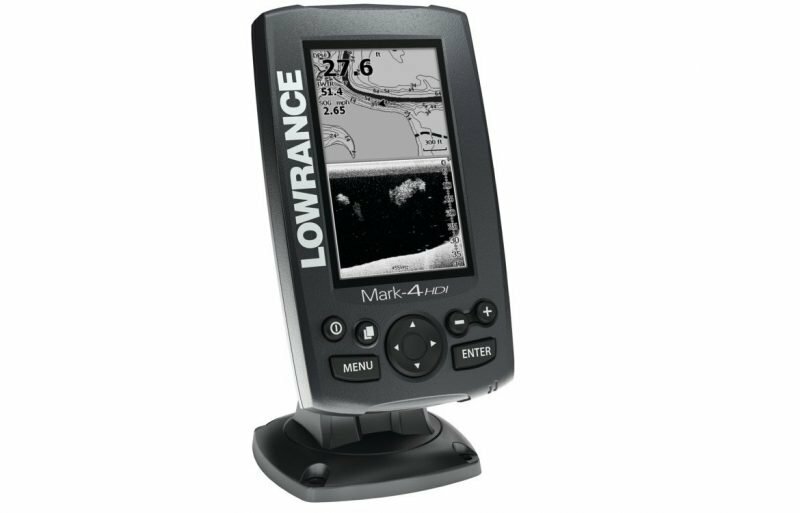 The Mark-4 family of fish finders is a budget friendly, monochrome series of fish finder GPS combos. There are three models in this series, the Mark-4 base unit, Mark-4 HDI, and Mark-4 CHIRP, any of which would be suitable for a small fishing boat. 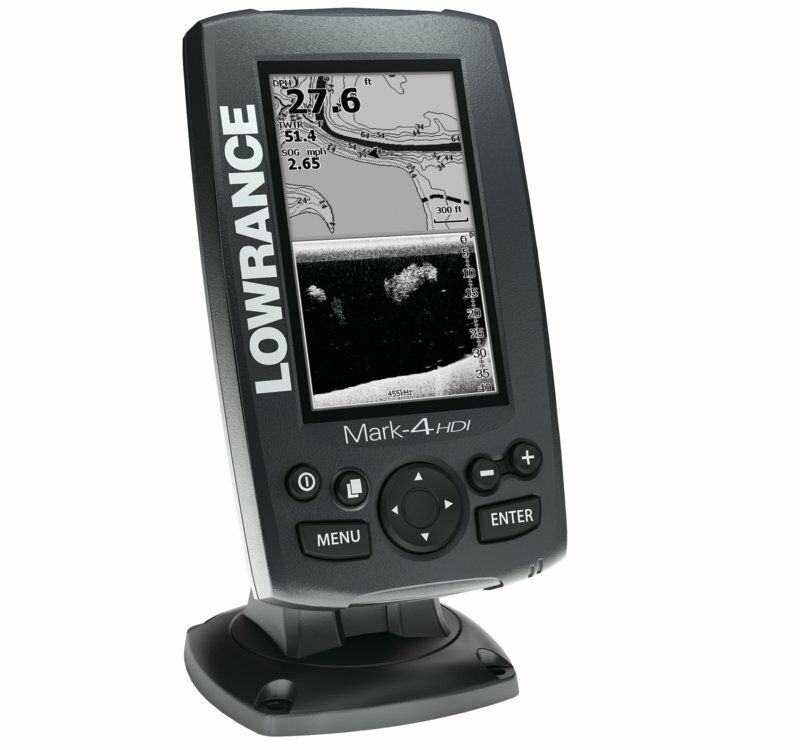 The Mark-4 products are some of the last remaining non-color fish finders being offered, but grayscale doesn’t mean they are poor units. 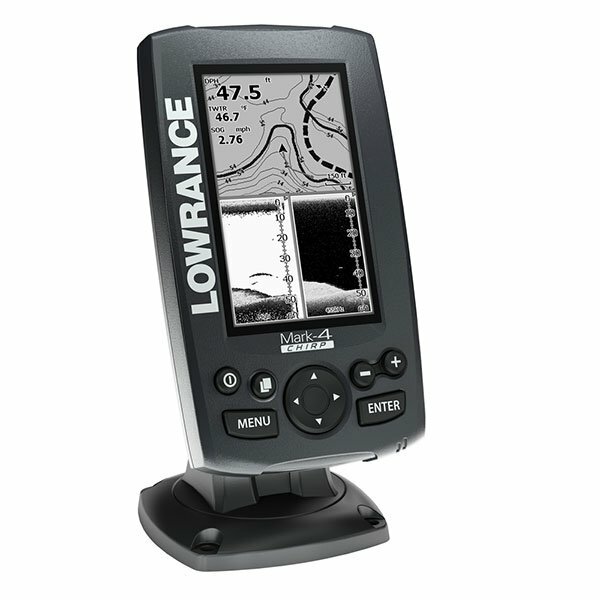 In fact, in this Lowrance Mark-4 review we’ll show you why these depth finders would be a worthy addition to your watercraft. The base Mark-4 unit is a standalone sonar unit, with no chartplotting capability, and is thereby the lowest cost of the three. 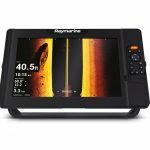 The other two models offer better sonar capabilities as well as charting and mapping. 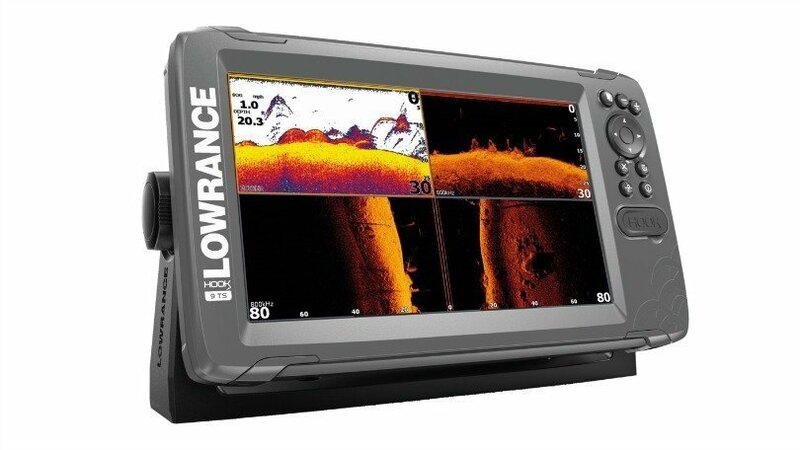 Here are some of the key advanced features in these cheaper fish finders. TrackbackTM scrolling allows you to arrow back through the sonar history to quickly save waypoints or zoom in on interesting bottoms structure features. Bright displays with high contrast. This is important when working with a monochrome screen. Internal GPS and MicroSD slot for advanced Navionics map cards. Compatible with the Insight Genesis custom mapping program. 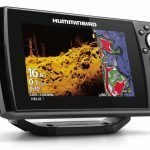 Advanced features like Hybrid Dual Imaging (HDI), DownScan Overlay, and CHIRP+DownScan, all of which are normally reserved for much higher end fish finders. 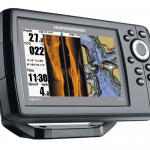 The baser Mark 4 is one of the cheapest fish finder GPS combo units around. The screen is 3.5” diagonally with a resolution of 320 vertical by 240 horizontal. Those are pretty average specs, but also plenty to reveal details in the water column. The transducer is your basic 83/200 kHz skimmer, which can be transom or trolling motor mounted with the proper bracket. Despite being a basic locator, it still has the option for using a Navionics Gold or Fishing Hotspots map card in the MicroSD slot. By stepping up to the Mark-4 HDI you are getting a large 4.3” display, and more pixels at 480×272. 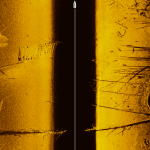 HDI stands for “Hybrid Dual Imaging”, which blends the broadband 83/200 kHz with the 455/800 kHz DownScan imaging for a uniquely detailed view of the water column. 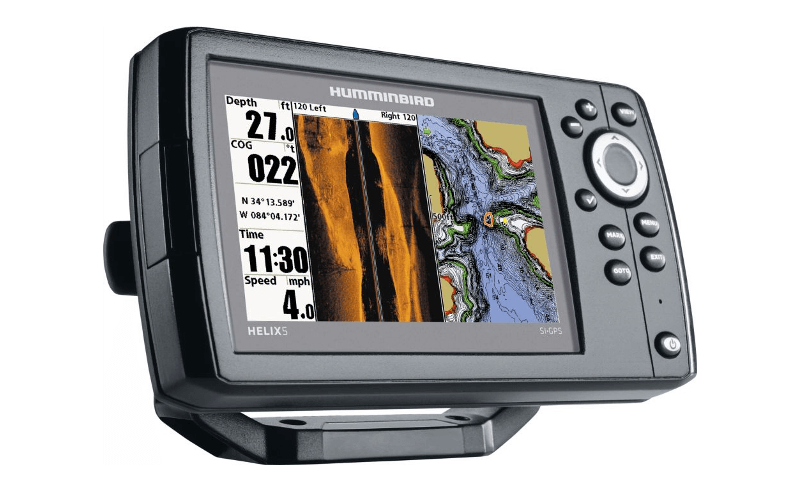 The HDI Mark-4 is Navionics Gold, Hotmaps Premium, and Hotspots Pro capable, all you need is to buy that additional MicroSD map card and plug it into the unit. If you prefer, you can make your own sonar recordings and upload to Insight Genesis for a custom map that only you will own. The vertical orientation lets you split the screen into 3 panesl for viewing of the chart, broadband sonar, and DownScan at the same time. The Mark-4 CHIRP is the newest model in this series, and nearly identical to the HDI model. The only difference is you are trading the broadband sonar for CHIRP sonar. The CHIRP is different in that it sweeps in a range of frequencies rather than two fixed beams. The advantage is better target details, increased sensitivity, and reduced noise. 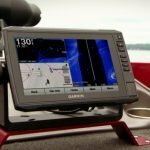 The CHIRP model has all the advanced features of the others in the family, like TrackBack rewinding of the sonar history, DownScan overlay, and the MicroSD port for Navionics and Hotmaps. Use the tri paned views to view all three chart and mapping at once, or use the favorite view buttons to rapidly cycle through your favorite views as needed. 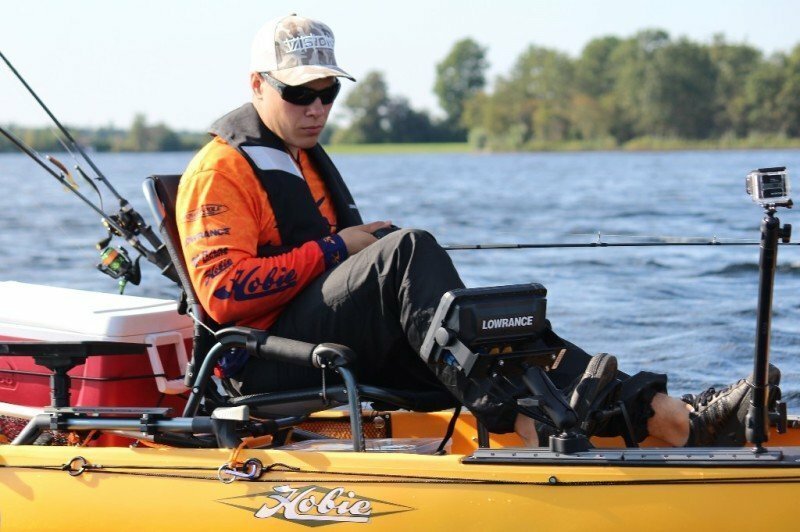 Pros >> The Mark-4 is a nice compact fish finder that would be ideal on a small boat or kayak. 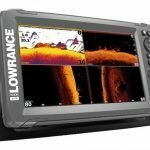 The prices are excellent for the charting and HDI/CHIRP sonar technologies that are packed into the little suckers. 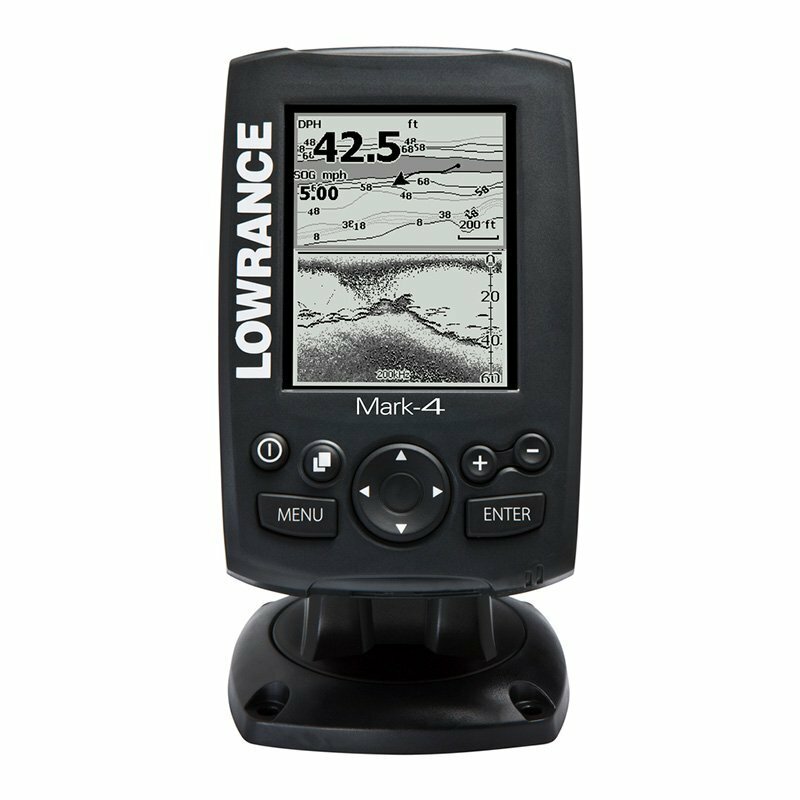 Lowrance has designed the Mark-4 family to be extremely simple to install as well as operate. Cons >> Some people won’t like the monochrome display, even though it is crisp and bright. 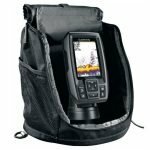 But for what these advanced little fish finders retail for, you are still getting a good deal.